"The garden is inspiring, the bath tub you did not want to get out of and the beds just bliss"
Kitchen View to the valley from belfast sink – washing up the old fashioned way and with a view. 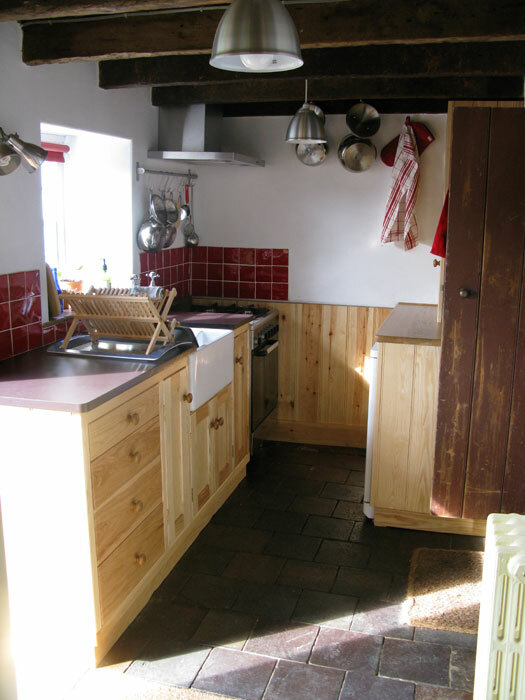 Fridge-freezer and stainless steel gas hob and electric oven. Well equipped for cooking and dining. Door to the garden. Cegin Fawr is the main room of the cottage. Restored enamel woodburner in the old inglenook, with bench for cosily relaxing. Welsh stick chairs, settle, dining table. Parlour with morso wood stove, sofa and comfy chair – the perfect place for a snug evening reading or chatting. Bathroom (ground floor) Roll top steel bath, low flush toilet and original belfast sink. Modern fittings and luxurious shower (over bath). Main bedroom with comfortable double bed, Welsh carthen (blanket) and original mantle piece. Second bedroom with single bed, Welsh carthen and two long wide shelves over the inglenook ceiling. Children’s bedroom with 2 futons – great place to play and hide out (restricted headroom). 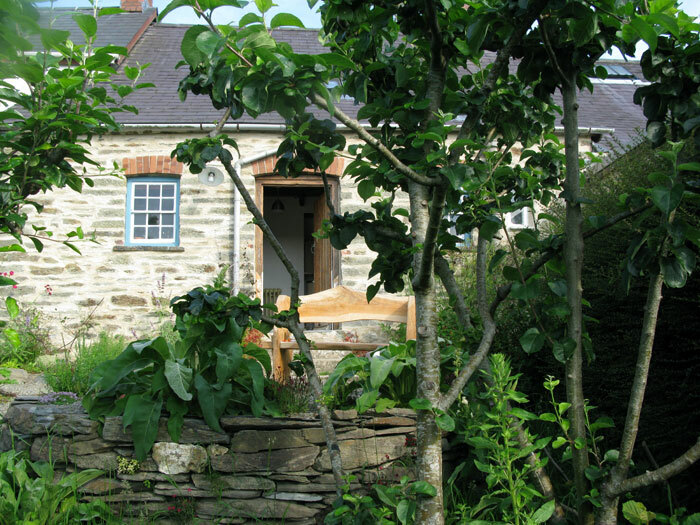 All beds are from the Welsh company Alphabeds who use natural and organic materials in their mattresses and use wood from sustainable sources. Their beds are the most comfortable we have ever come across!! 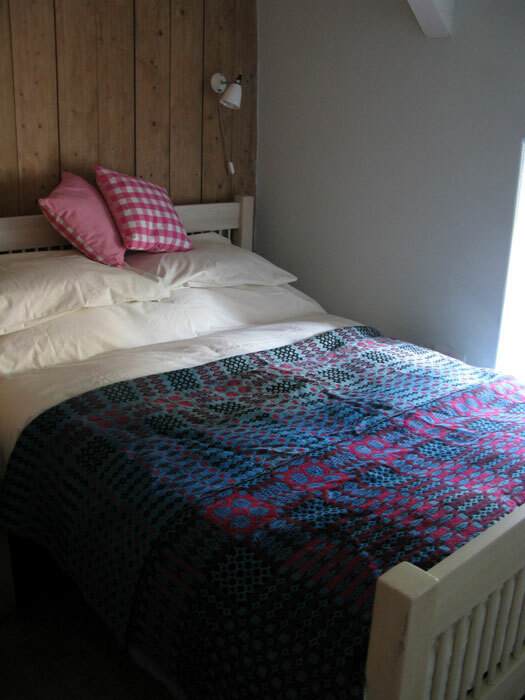 Duvets are all natural materials and bed linen and towels are organic cotton. Garden to the rear has a dry stone wall terrace for sitting to eat or relax, and a wildflower area which is a stunning array of colourful blooms through the spring and summer. In season the house will be decorated with flowers from the garden and visitors are welcome to pick and use herbs for cooking and teas. Apple trees below the terrace are grafted with many old varieties which can be picked throughout the autumn.